More than often, in the game of chasing numbers and sales output, many organizations tend to forget the basic fundamentals of maintaining a work-life balance. Thankfully we have a work-life balance here..of course, there are times when we have deadlines and targets to chase but we easily draw the lines between work and personal lives. Especially, in today’s competitive business environment, where organizations are increasingly chasing aggressive goals with greater pressure to over-achieve, we have never slogged on weekends so far. Like every sales component of an organization, SalezShark too is a goal-oriented charged-up organization, where ambitions and competition runs pretty high. Amidst such an environment, the company makes sure to negate the pressure and tension by organizing fun and frolic activities every now and then to uplift the team’s spirit and mood. 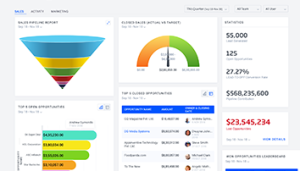 SalezShark is one sales CRM organization where I myself have received incredible cooperation and encouragement for organizing various activities like Yoga, Sports, Lunches, Dinners, and interactive career building sessions that work on me and my team’s all-round development. Employees also need to feel appreciated for their efforts and hard work. And SalezShark has never failed to do that for its employees. They host various awards and recognition programs, appreciating employees for their contribution, simultaneously motivating them to achieve their work goals with more efficiency and dedication. Being part of a culture that embraces such activities isn’t all about fun and games. It comes down to the bottom line- Teams who are more engaged and who have a great support system at work, are more productive and willing to put in their all, in order to not let their employers/managers down. This has been SalezShark’s mantra for successfully handling and leading our sales team to greater productivity and output, further enhancing their experience of working here. Who says friendships forged at work place don’t go a long way! I am really blessed to have friendships bloomed here in the journey with SalezShark. Some of my friends have left the organization but are still in touch with me. The ones whom I can share and rely for whatever I want to. I strongly feel that work culture reflects the attitude and productivity of your team responsible for revenue generation. Ajay, the co-founder of our company, is so solicitous about developing a work culture to help us get well together and in-sync with the organisational goals alongside, that he has even bought a custom-made table to encourage people to take breaks and chat. He has always tried to cultivate an environment where we you can spend time while chatting and socializing with each other, an environment, where people can trust their leaders, enjoy their colleagues and feel good about what they do. So, a healthy work culture is what has helped us stay well connected and in-sync with the organisational goals as well. As a founder, Ajay gets into work sharp at 9 am and leave every day at 6 to have his time with family and friends. But inevitably he finds himself answering emails by the late evening as well. But, his trust and camaraderie has actually brought us together in a great high-performing place. 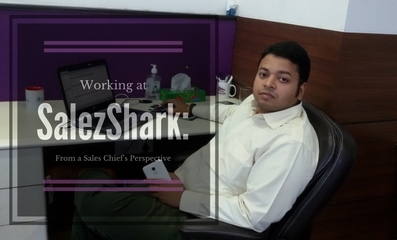 Author, Vineet Singhal, is the Vice President of sales division (SalezShark). hjsfowfuypo Yeezy Boost 350,Quality blog, keep up the good work. You may check our website also!